Faber Navalis is latin for boat builder. 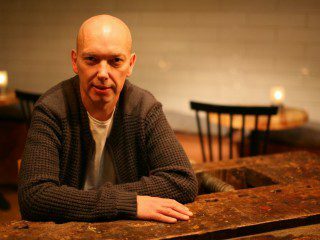 “An ancient language for an ancient profession”, and also the title of Italian director Maurizio Boriello’s rather special documentary. What might seem to be a film about the restoration of a wooden ship, is actually the story of an Italian researcher in maritime ethnography, who decided to learn boat building skills in order to understand the intangible knowledge hidden behind the construction of a wooden ship. As maritime craftsmanship has always been very important in Norway, and fishing boats and other ships has been lifesaving along the rural coast and fjords ever since the Vikings, the pick of Norway as the place to learn such ancient skills came naturally to the director. 33 minutes long, Faber Navalis documents carefully spliced shots and intimate sounds where wood and image are treated as raw material with symmetrical care. 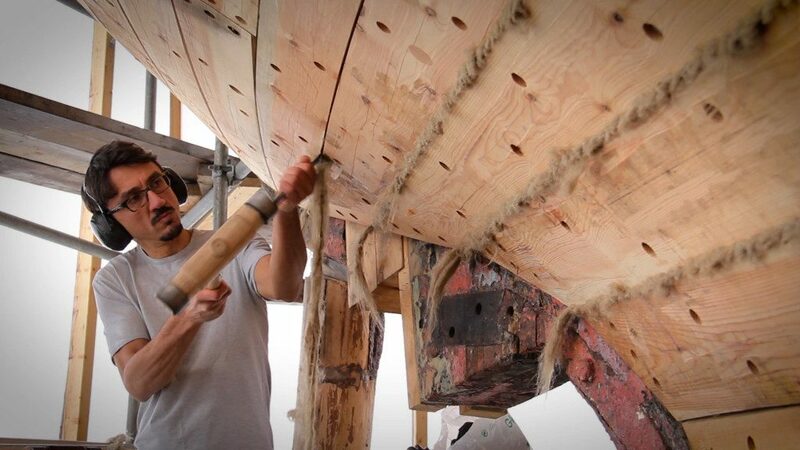 Not only is this film an experiment in autobiographical etnography (as the shipwright is also the filmmaker), it’s the first time traditional Norwegian boat building is documented into minor details. The documentary’s protagonist is MS Grytøy, which was built in 1954 and supplied milk along the rural coast of Harstad, northern Norway. In the mid 70-ties Grytøy was sold and used as a passenger boat in the fjords around Trondheim, ending its days near capital Oslo as a tourist vessel. Finally in 2012 the boat returned to its birthplace, Harstad, where the restoration and filming of ancient traditions has come to life. 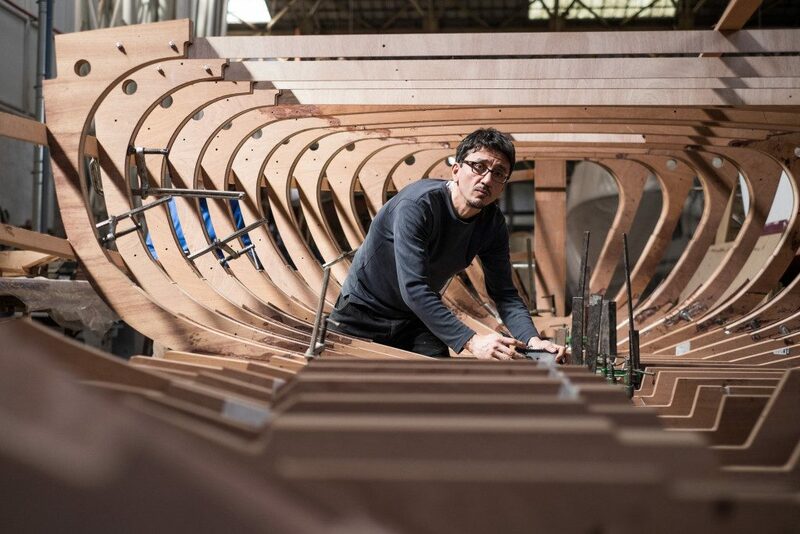 Through Maurizio Borriello, who has dedicated his last four years as a wooden ship restorer at the maritime museum in Norway, Faber Navalis strives to grasp the old craftsmanship needed to restore a boat like MS Grytøy. Just like each of the poetically frames scenes composing this documentary, each individual plank of wood is measured, marked, cut, contoured, sanded, polished, bent, transported and fixed into place. There is an experimentation of sound as much as the visual in this documentary, giving fascinating “screen life” to both old coastal history and ancient boat building traditions.